John Murray was the founder of the Universalist denomination in the United States. He was born in Alton, Hampshire in England. His father was an Anglican and his mother a Presbyterian, both strict Calvinists. 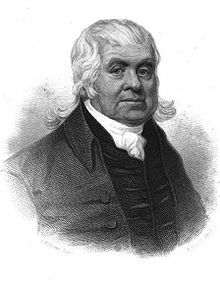 In 1770 he emigrated to America, and preached, as a Universalist minister in Good Luck, New Jersey. In 1774 he settled at Gloucester, Massachusetts, and established a congregation out of a Rellyite study group. In 1793 he became pastor of the Universalist society of Boston. His works are available in Letters and Sketches of Sermons, 3 volumes (Boston, 1812).